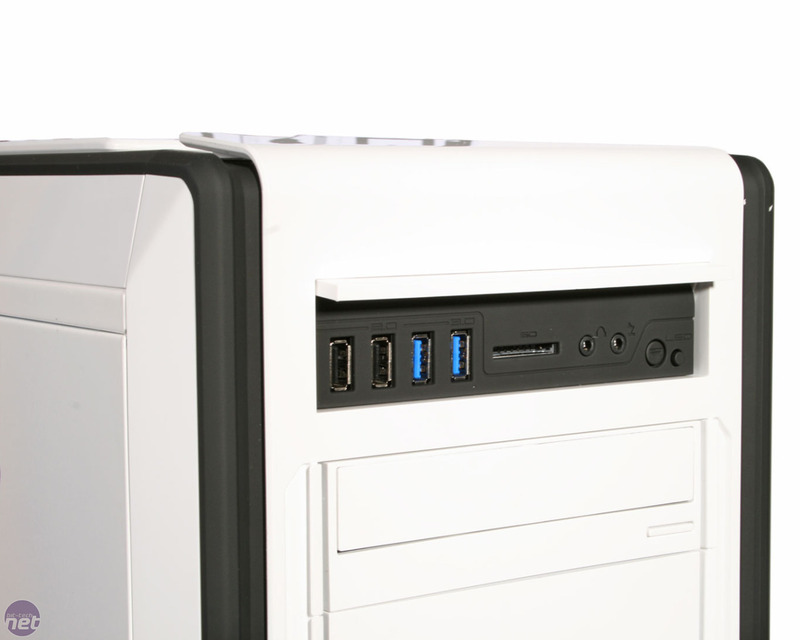 Case manufacturers often find it hard to find the right balance when it comes water-cooling potential. 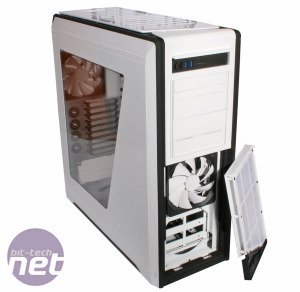 Either there’s no room for a radiator at all, space for just a half height dual 120mm fan radiator (as is becoming the norm), or the case is the size of a small family car and can accommodate a Center Parcs swimming pool sized pair of water-cooling loops. Unfortunately for those of us who like to dabble in sensibly sized bespoke water-cooling, none of these are too useful; all-in-one liquid coolers are great but lack the customisable nature of a bespoke loop, while outside of trade show demo systems, very few bother with multiple loops. 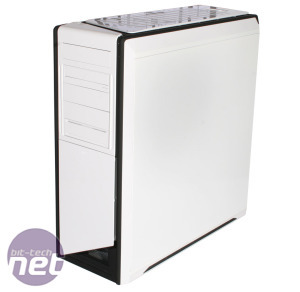 As modern hardware becomes increasingly efficient a single full thickness dual-fan 120mm radiator is enough to cool even a heavily overclocked PC. 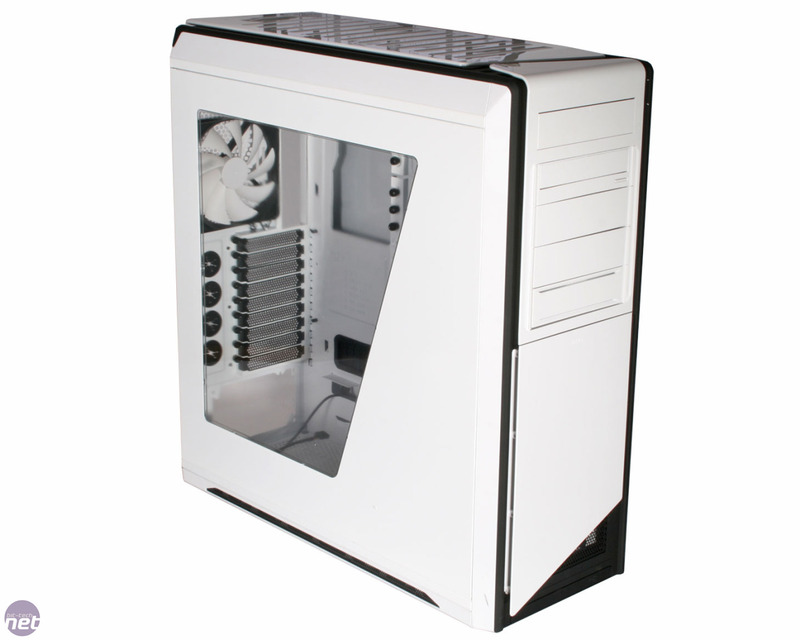 What we really need then is a sensibly sized case that still offers reasonable water-cooling support, without going the route of the super-sized juggernaut. 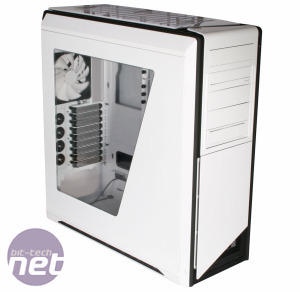 Which, handily, is exactly what the NZXT Switch 810 claims to be. 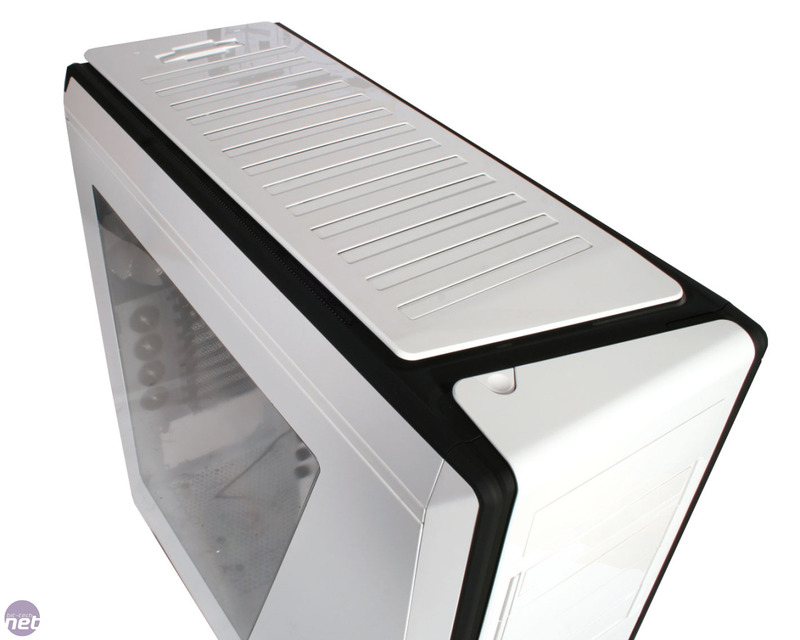 Clad in ‘damned difficult to photograph white’ (not official colour name) or monolithic black, the Switch 810 is what NZXT calls a hybrid full tower case. What this equates to is a case measuring in at 235mm x 595mm x 585mm (W x H x D), or a full tower case stretched a bit upwards. This still makes it much more desk friendly than the huge Xigmatek Utgard (663mm high) or the SilverStone TJ11 (642mm high). 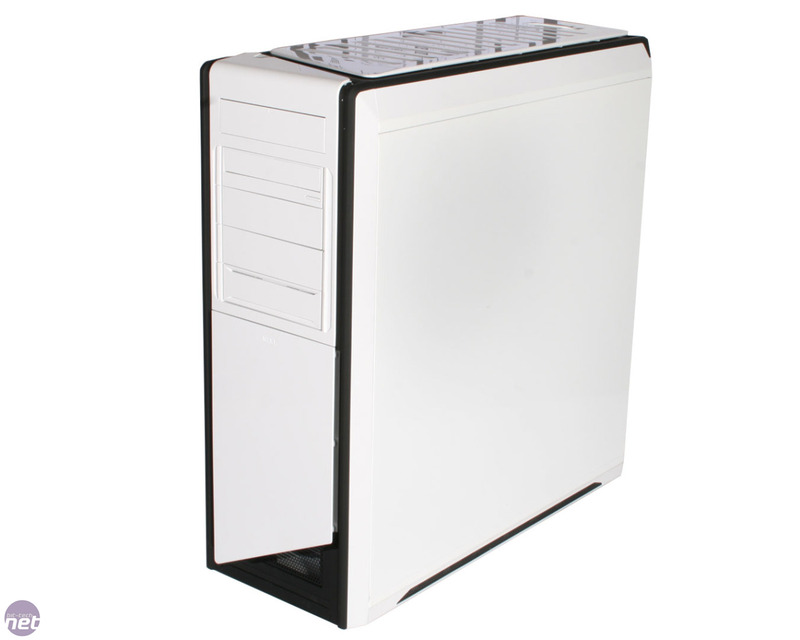 The case’s core chassis is steel painted inside and out in matching colours, with a large side-panel window letting you marvel at your PC’s innards. There’s little feeling of hand-on-metal though, as the Switch 810 is clad front, top and bottom in plastic housings and fascia. 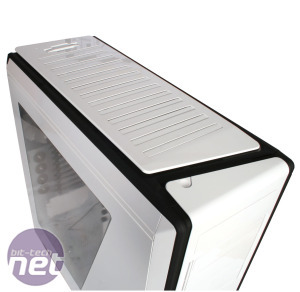 It’s a means to end, as it allows the case to offers some pretty swish extras which we’ll come onto in a bit, but the extensive use of plastic does make the Switch 810 feel less quality than it would if NZXT had utilised an all metal construction. 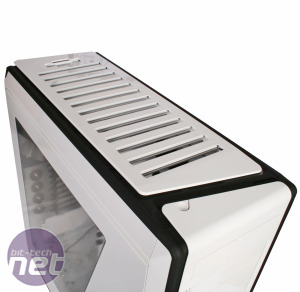 Pick the case up and you’ll hear the plastic creak, something that just wouldn’t happen with an all metal design. 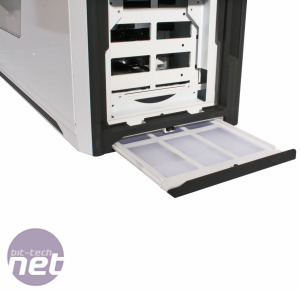 The deep plastic housings around the Switch 810’s core chassis do make for some innovative features though. 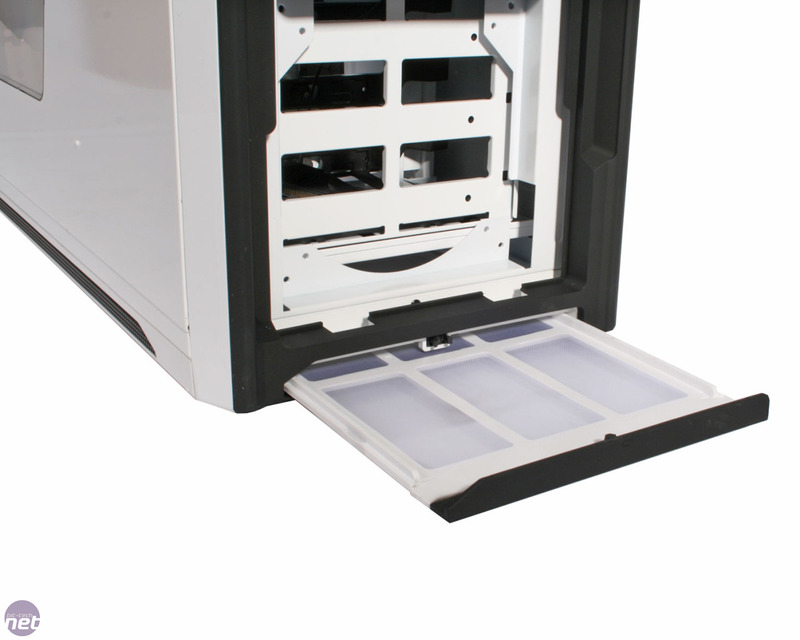 The lower half of the front fascia can be completely removed via two push-pin catches to reveal a washable dust filter, while the floor section contains a pair of removable dust filters (one front, one back) which cover the entire floor of the case. 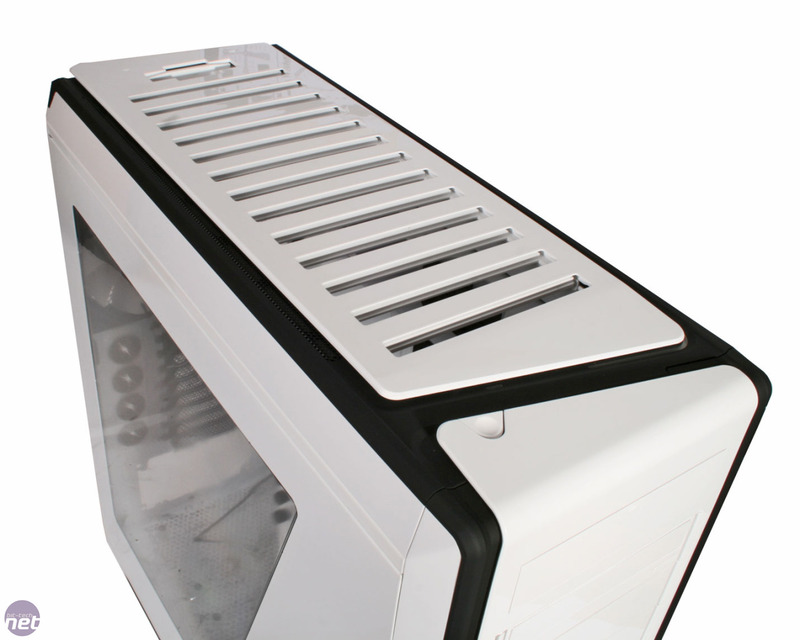 The roof panel is also removable courtesy of a pair of push-pin catches, but also boasts a shutter system that allows you to seal the roof of the case or open it up to ventilation with a flick of a catch; handy for those hot summer days to add some extra ventilation in an instant. 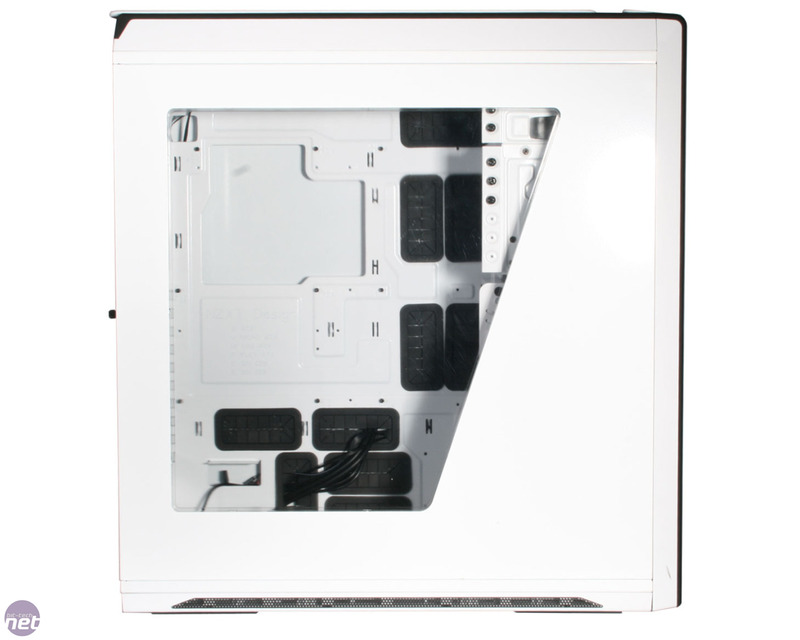 Beneath this top plastic panel is what we’re most excited about though; a huge array of fan mounts for up to three 120/140mm fans or matching full thickness radiators. 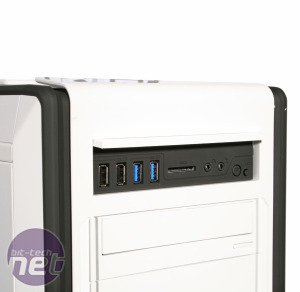 The recess in the top of the case can fit standard height fans should you wish to fit fans externally too. The roof of the case also hosts the power switch, integrated into the moulding of the front fascia, with the front panel secreted behind a flip-up panel above the 5.25in drive bays. It’s well featured, with a pair of both USB 2 and USB 3 ports, an SD card reader, 3.5mm microphone and headphone ports, a reset switch and an LED lighting switch. This switch doesn’t toggle LED fan lights though; instead, NZXT has added a pair of white LEDs to the case’s rear I/O and expansion slots, so you can see what you’re doing when fiddling around behind your case. It’s a clever idea, but poorly executed as both LEDs leak light back into the case, where the effect isn’t as useful, or welcome.